MawMaw was born in New Orleans in 1913, the oldest of five children. She had to drop out of school in the eighth grade to care for her siblings, but she was a lifelong reader in spite of her lack of schooling. When she was a young married woman with a family of her own, she kept a spot lamp hooked above her side of the bed. She would read into the wee hours of the morning, but the lamp hovered dimly just above her book so that she would not disturb PawPaw. This was one of the many stories of her life that she told me when I was growing up. 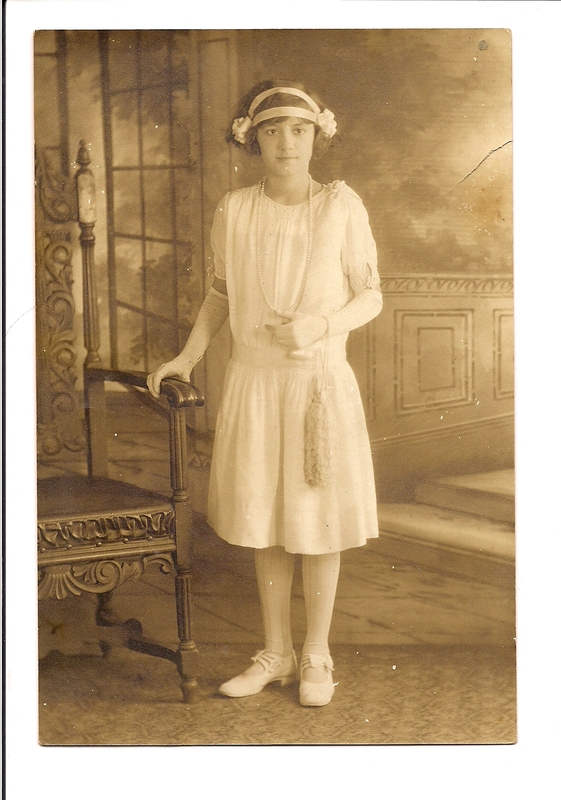 This is MawMaw at the age of thirteen on the day of her confirmation. MawMaw was a seamstress and sewed the most beautiful dresses for me when I was a girl. I would draw her a picture of the dress of my dreams, and she would make it a reality for me. When she was teaching me to sew, as I was hemming a dress one day, I could not use the finger that had the thimble on it – I would unconsciously switch to another finger. MawMaw told me that she always did the same thing and eventually quit trying to use one. She said she failed her sewing class in school because she couldn’t use a thimble, but, she told me, she was the best seamstress in the class, so she didn’t care about the grade. I knew she was the best seamstress in the class – no one could sew like MawMaw. This is the first beautiful dress MawMaw made for me – my christening gown. 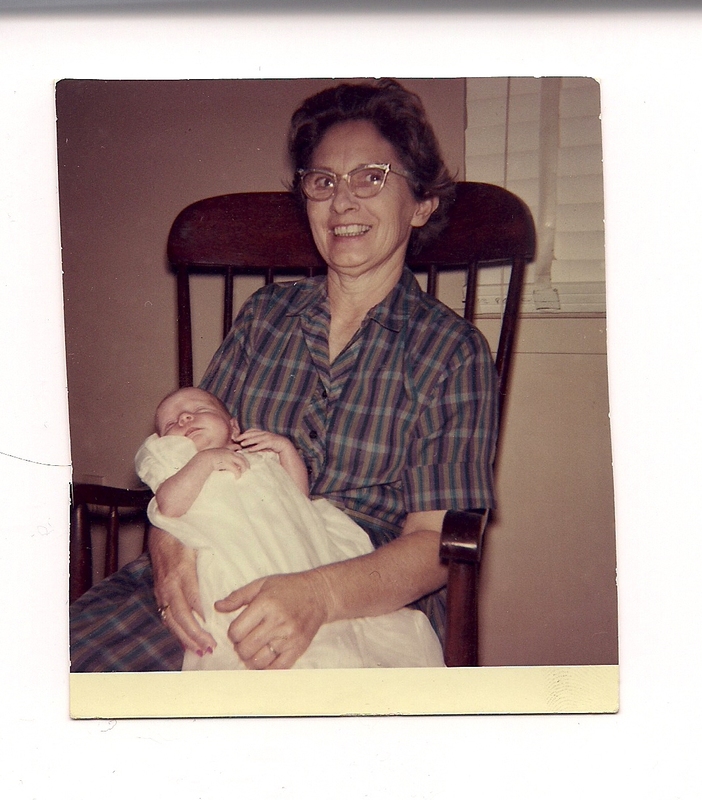 MawMaw’s health began to fail in old age, as one would expect. She had had a stroke at the age of forty-five, long before I was even born. But, she still found the strength to spoil my sisters and me. We teased her mercilessly, and she pretended she hated it, but we knew that she loved the attention. We would pinch her rear end and then run away, knowing that she couldn’t catch us because of her limp, a vestige of her stroke. She would tell us, “Stop it, now. Stop it or I’m going to bat you over!” We’d answer, “You can’t bat us over, MawMaw, because we can run faster.” She’d retort, “I’ll catch you when you’re not looking!” We must have acted this scenario a thousand times. 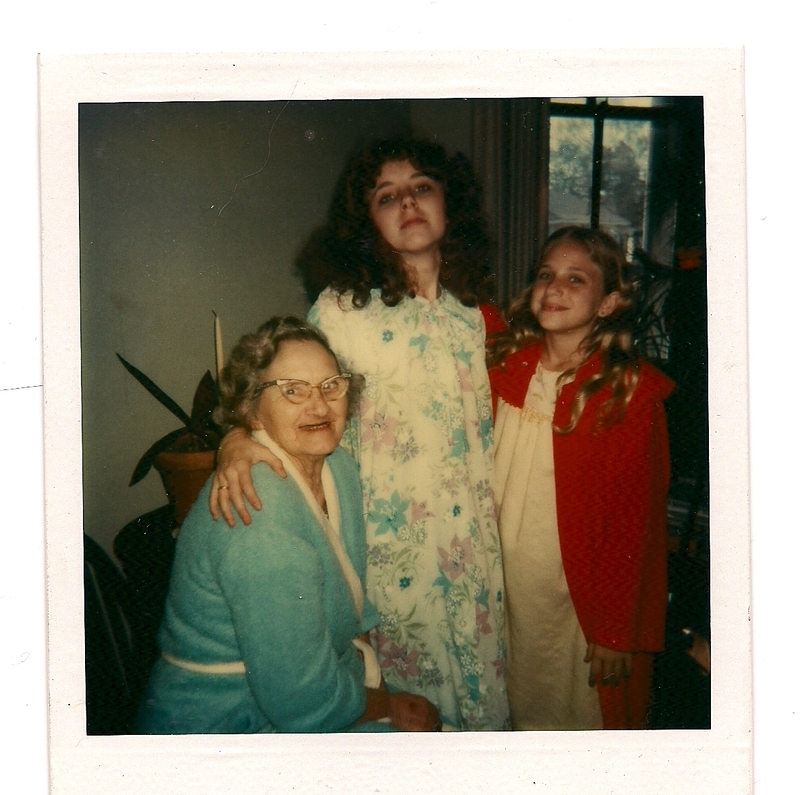 My sisters and I were the only grandchildren who could treat her with such irreverent familiarity and get away with it. 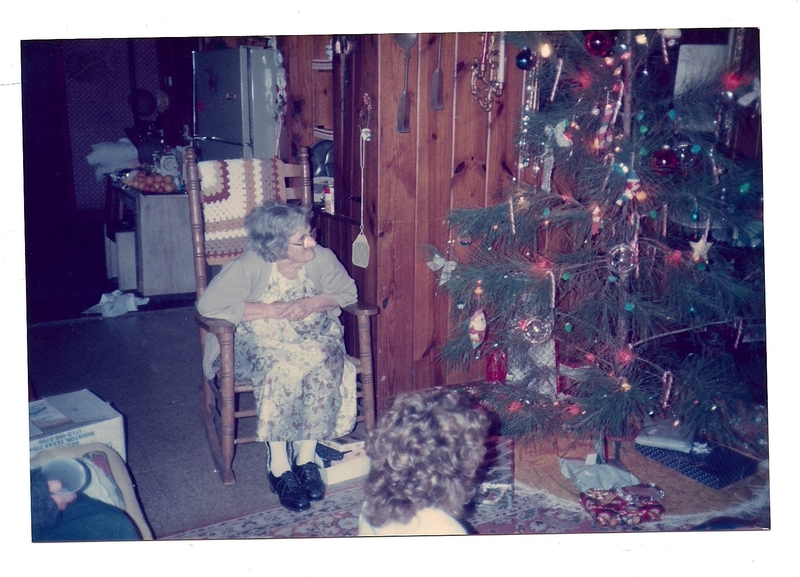 MawMaw passed away in 1997 in the house that PawPaw built for her. I still miss her, of course, and hope that I can be as good a grandmother to my grandchildren as she was to us. As a homage to her for the wonderful memories she created for me, I based the character Bernardine from my novel The Diary of Marie Landry on MawMaw. Everybody needs a MawMaw to make them feel warm, safe, and unconditionally loved. This is a beautiful post, Stacy! Your Maw Maw sounds like a very special grandma, indeed. Sounds like she loved being teased by you. I always knew that there was not a stronger woman and a more loving and giving maw maw. Because of her we got through some tough times. Beautiful story. She sounds like an incredible lady, and a great role-model for you with your grandkids! I remember her and her cooking very well, what a lady she was!! Great pictures.